SWISS and Air Canada are having a battle with KLM over flight prices from from Edmonton to Dar Es Salaam, Tanzania. SWISS and Air Canada = $984 CAD roundtrip including taxes. KLM = $982 CAD roundtrip including taxes. This is about 42% below the typical best roundtrip prices from Edmonton to Dar Es Salaam. On KLM, you can turn these into a '2-continents-in-1' trip (Europe & Africa), for about $15 more. 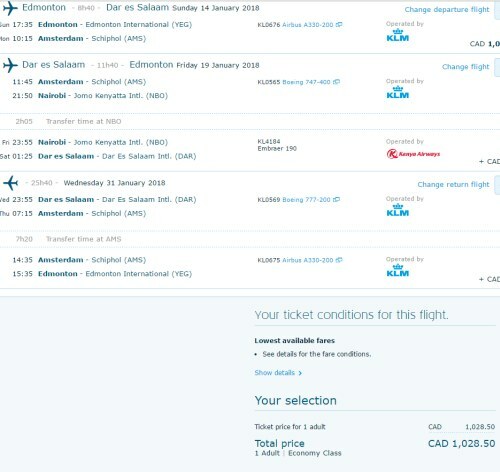 Fly from Edmonton to Amsterdam (non-stop), spend time in Europe, then fly from Amsterdam to Tanzania, spend time there, and fly back home to Edmonton - all for just $1028 CAD including taxes for all 3 flights. See instructions in the blog post below. When you get to Momondo, if you click on 'Cheapest' it will probably show you the Air Canada / SWISS flights. If you click on 'Best' it will probably show you the KLM flights (which are quite a bit faster, for the extra $90). Update 2/27 - KLM is now showing fares in January and February 2018 from Edmonton to Dar Es Salaam, Tanzania for $1013 CAD roundtrip including taxes. 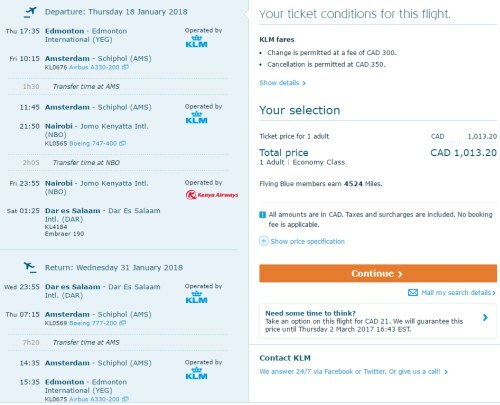 Fly from Edmonton to Amsterdam (non-stop), spend time in Europe, then fly from Amsterdam to Tanzania, spend time there, and fly back home to Edmonton - all for just $1028 CAD including taxes for all 3 flights. Update 5/10 - These are back again today. You can find flights from Edmonton to Dar Es Salaam, Tanzania with KLM for $978 CAD roundtrip including taxes. There are now dates available as far away as March 2018.
edmonton, yeg, flight deals, air canada, klm, swiss, africa, east africa, tanzania, dar es salaam and dar. 2 Responses to "Adventure travel: Edmonton to Dar Es Salaam, Tanzania (gateway to Zanzibar) - $978 to $1013 CAD roundtrip including taxes | add Europe for $15 more"
Booked with a loooooooong stay in Amsterdam so that I can actually go to Italy. 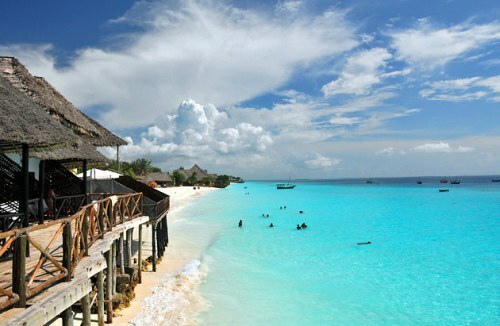 Then off to Zanzibar.